TVS officially launched the Apache RTR 160 4V carburettor model with single disc option in Bangladesh and the company has introduced three new models which include Max 125, Metro Special Edition and XL 100 Heavy Duty ‘i-Touch start’. The Apache RTR 160 4V is one of the most popular models of the company in India and also in the International market. The company distributes the products through TVS Auto Bangladesh. 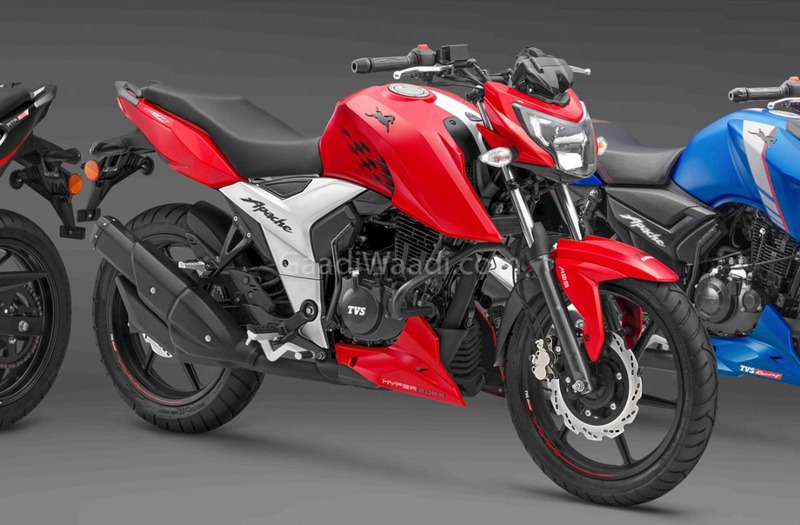 The Apache RTR 160 4V is available in three colour options – RR Red, Racing Blue and Racing Black. The performance bike is powered by 159.7 cc single cylinder engine producing 16.1 bhp at 8,000 rpm and 14.8 Nm of max torque at 6,500 rpm. This engine is mated to a 5-speed gearbox. In India, TVS is also offering Fuel Injection variant of the Apache RTR 160 4V and it comes with slightly more power compared to carb model. 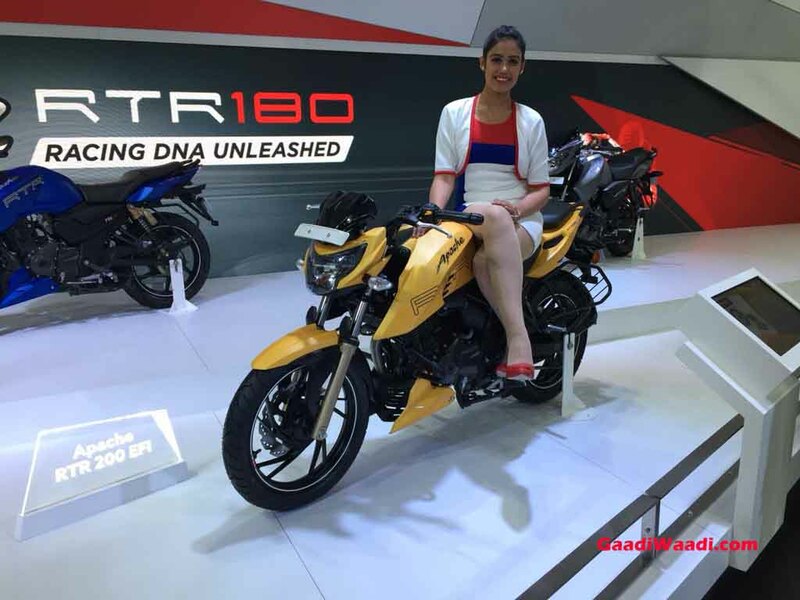 The performance of the entry-level model is excellent as 0-60 kph in just 4.73 sec and the top speed of Apache RTR 160 4V is 113 Kph. The braking duties are performed by 270 mm disc at the front and 130 mm drum at the rear. The company is not offering ABS system with the Apache RTR 160 4V in Bangladesh. The bike gets 17-inch black finished alloy wheels with 90/90 section tubeless tyre at the front and 110/80 section tubeless tyre at the rear. The Apache RTR 160 4V gets telescopic forks at the front and mono shocks at the rear. The design theme is carried over from its bigger sibling Apache RTR 200 4V as the headlamp get LED DRL while the rear comes with LED tail lamp and instrument cluster is fully digital. The seat is a single piece unit. TVS has given 12-litre fuel tank with 2.5 litres reserve and the bike is expected to return around 45 km/l. The Apache RTR 160 4V tips the scale at 143 kgs and it measures 2,050 mm length, 790 mm width, 1050 mm height and 1,357 mm wheelbase. The ground clearance is 180 mm and seat height is 800 mm.